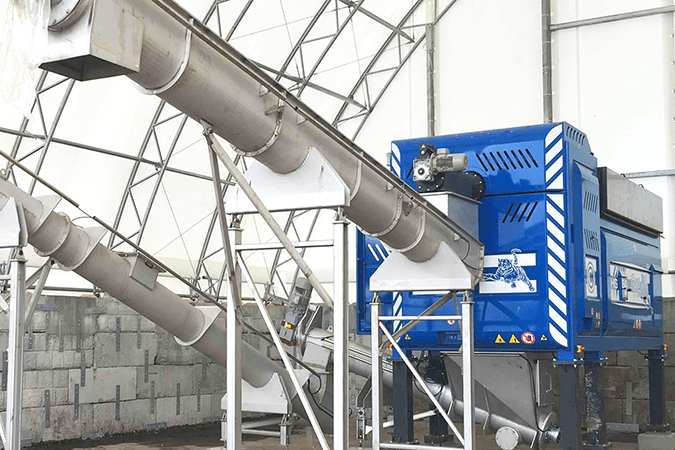 Engineered specifically for depackaging, the innovative Tiger Depackaging System combines the action of a shredder, screen and extrusion auger in a single machine. After wet or dry materials are loaded into the hopper, the unique action of the Tiger mechanism separates the organic fractions from the inorganic packaging, producing both solid and liquid extracts in the discharge. No pretreatment or material prep needed. Just turn it on, load it up, and generate more revenue from your source material.